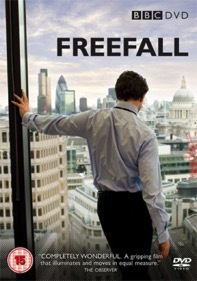 A powerful and moving drama, Freefall (2009) follows the lives of three men with everything on the line. Gus is the high flying city exec who packages and sells bundles of mortgages for extortionate profit. Dave is the mortgage broker who can make anything happen, and when Dave offers Jim, his old school friend, a way out of the council flat he and his family have been stuck in for years, it’s an offer that is too good to refuse. A way of fulfilling his lifelong dream of becoming a homeowner. What did you learn about the enigmatic 2008 global financial crisis from the movie? How well does the film set the tone for its story? Is there any element (camera angle, cinematography, dialogue) that caught your attention? Did you notice a recurring symbol throughout the movie? Are the women characters simply more moral than the guys? :-) Or are they in any way complicit? Are the character problems revealed in the movie in any way universal? Can we be delusional about "getting ahead' quick too? What helps us stay or return to being human? Which character is most pathetic? or sympathetic? What one thing (if any) does this movie make you want to do? Have you ever desired something so much you’d be willing to do anything within your power to get it? What happened? Gus seems to think his job encompasses his entire identity. What are the problems when our identity is wrapped up in a single role in our life? Some reviewers suggest the movie lacks subtlety? Is this true? If so, does it make a difference in how we respond to the movie? What do you think Jesus would say to Dave, Gus, Jim, Mandy, Anna? What stories in Scripture are you reminded in watching Freefall? Why?